Your website is a very important factor for local search rankings. Your Google My Business page and all of the directory citations direct guests to your business address, but they will also point to your website. 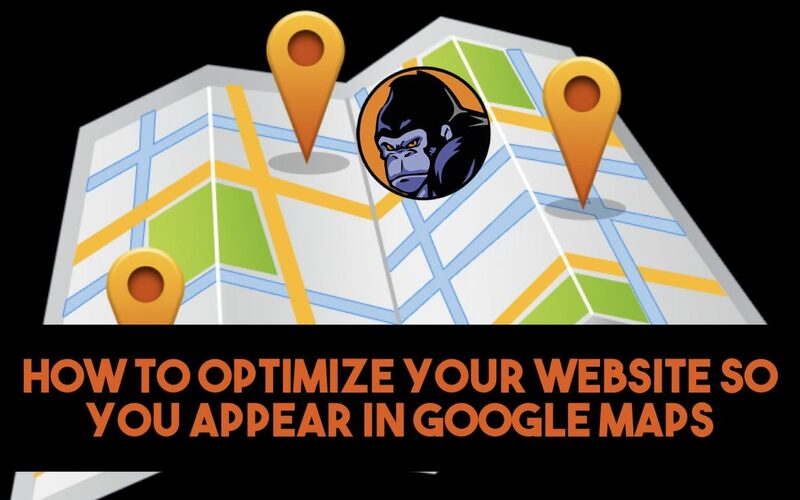 In this post, I will show you how to optimize your website so that you will appear in a local search like Google Maps, the Local 3-Pack and more…There are many things you will want to optimize on your website to improve your local rankings. Here are 7 essentials to optimizing your website. The title tag is the official title of a specific page on your website. The tag is the text that appears in the Google search results page for your web page. A bad example of a common title tag mistake is a websites home page. Often folks simple call this “HOME”. That becomes the title tag of your website’s homepage, which of course, is a horrible title tag because it does not communicate anything. Instead, make the title of your home page something like. “Digital Marketing Services in St. Louis, MO.” Every page should have a clear title tag. Obviously, you will want to customize this meta description to clearly state what the page is about for the reader and add specific keywords. There are 2 things you need to do in order to optimize images. First, you need to add tags to your images. So you’ve tagged the title and the description, now you must tag the image. Google bots can not see images. They only read text. Without a description or tag it only sees “image”. You will want to tag your images with keywords. Don’t name an image, “98984r566.jpg.” Instead, name it, “Web-Design-St-Louis.jpg” then use WordPress to add a tag and description with similar keywords. Second, you need to compress those images so they do not take too long to load. Page load speed is a major factor in SEO. You want your pages to load fast. You can use a plugin like Smushit (WordPress) to compress your images. The anchor text is the words used when you create a link. Say for instance you have a page about web design and within the text about web design, you make mention of Local SEO. It is a good idea to link to another page on your website that is dedicated to Local SEO. When you do – don’t place the link on text that says, “CLICK HERE, or “LEARN MORE. : “Click here” is the anchor text. Instead, make the anchor text read, “LOCAL SEO.” This way Google knows what you are pointing to and why. Your website must be mobile-friendly. Not only has Google official stated that it will not show websites that are not, studies also reveal that over 60% of local customers search for nearby businesses on their phones. At Silverback Web Design we take a mobile-first approach. That means we design with the mobile version of your site in mind first. Then we tweak it to look great on a desktop. Most web design does the opposite, starting with the desktop then making tweaks to make the desktop version more mobile friendly. Be sure to use headings throughout your site’s content. You are probably already doing this because most content has headings and subheadings. However, you should know that Google pays close attention to those headings. It would be wise to use keywords and make your headings descriptive. For instance, don’t just use a heading that says, “Point #2.” Again, that doesn’t communicate anything. Create a page for every service you offer. I see this mistake all the time. A business has a page on the website called services. The page is titled “services”, and then on that page is a list of services they offer and perhaps a brief description of each. Think about that, what does Google think that page is about. Well, it’s about a bunch of different things. Instead, make a page for each service. Each page now has all the tags mentioned above, as well as tagged images, along with a more thorough description of each service. Now Google knows what that page is about and when a potential customer searches for that service Google can, with confidence, refer to that page. GET YOUR BUSINESS LOCALLY SEO’d TODAY! We leverage the power of the internet to get more leads & grow businesses. The question is, will yours be next?